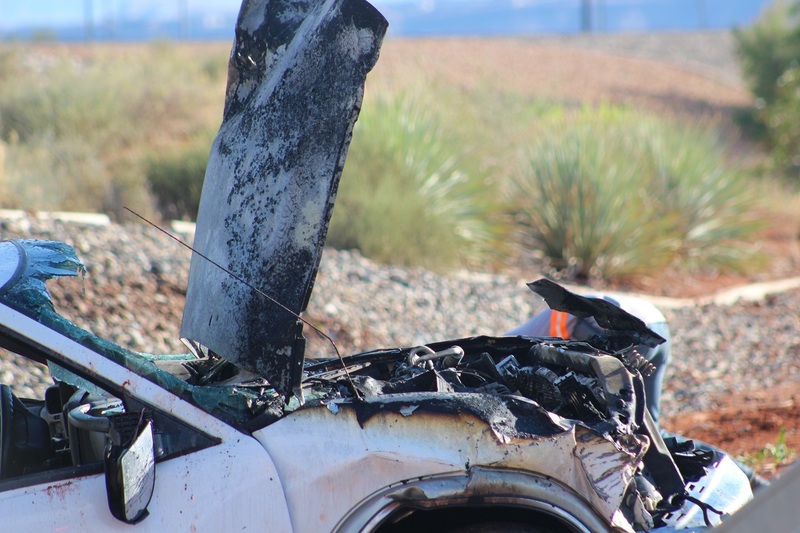 WASHINGTON CITY — Two teens escaped serious injury Friday evening after a suspected mechanical failure sent their vehicle steering sharply off Interstate 15, eventually rolling and landing upside down where it caught on fire. Just before 6:30 p.m. a reported rollover sent officers and emergency personnel racing to Interstate 15 northbound just past Exit 13 for Washington Parkway in Washington. 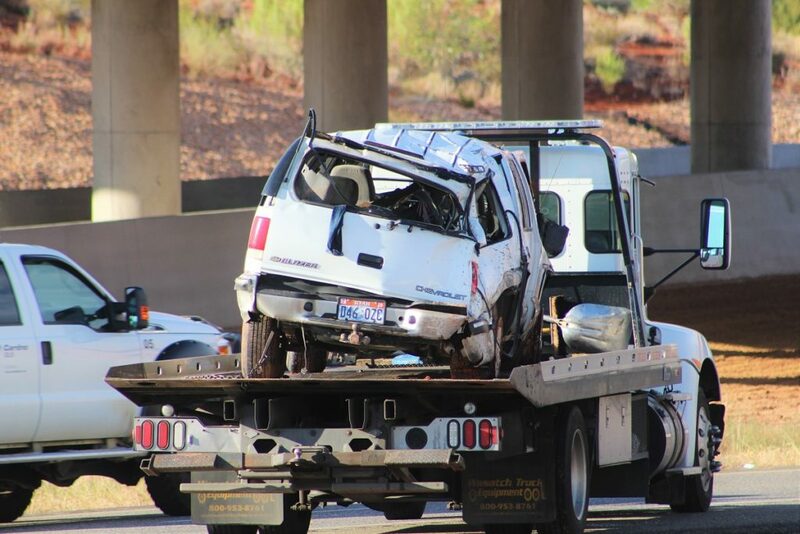 First responders found a white Chevrolet Blazer upside down with the front end engulfed in flames, Utah Highway Patrol Sgt. Jacob Cox said. UHP Trooper Mike Murphy was near the crash as it was called in and was there very quickly, Cox said. Firefighters set to extinguishing the blaze while officers and emergency personnel assisted the teens that had just escaped the vehicle, Cox said. Both teenagers sustained minor injuries during the crash. 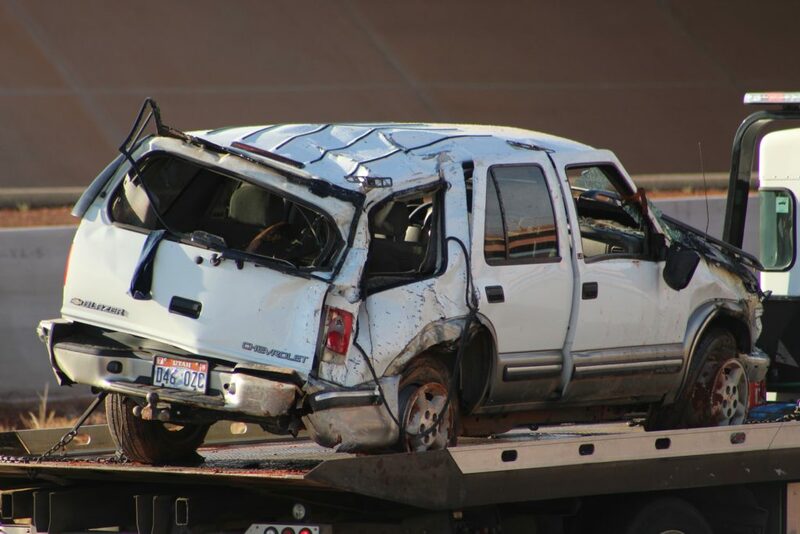 The driver told police that his vehicle started to pull hard to the right as he was driving north on Interstate 15. From the way the car behaved, he believed there was a power steering failure, Cox said. As the car continued veering sharply to the right the teen attempted to correct it, but the effort sent the Chevy careening off the roadway before rolling over. Within seconds the car caught fire while the teens made their way out of the vehicle to safety. Preliminary findings showed the fire most likely originated from a fuel line that either came loose or was severely damaged during the rollover, he said. Firefighters were able to extinguish the blaze within minutes and continued dousing the charred Chevy with water to ensure it was completely out. The Chevy was extensively damaged and was towed from the scene. 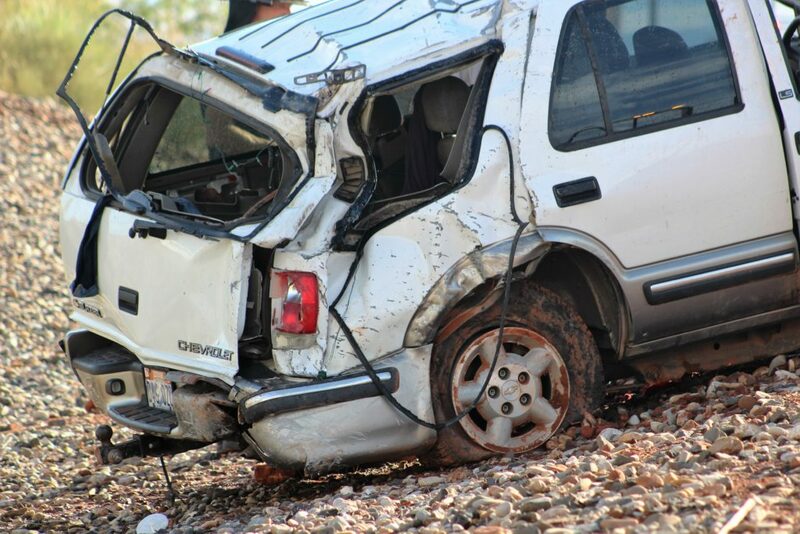 The teens were transported to Dixie Regional Medical Center in St. George for treatment, Cox said, and both were released to the passenger’s parents just after 10 p.m. Friday night. 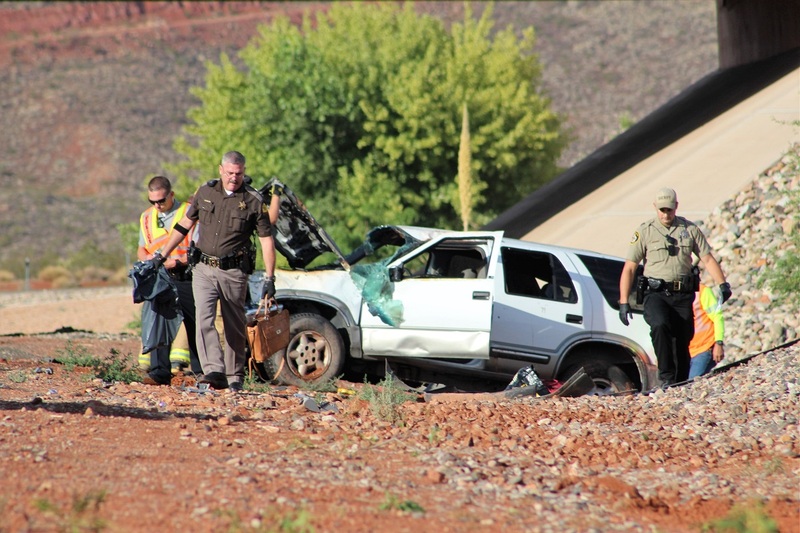 The most common cause of fatalities are due to motorists not wearing their seat belts, and it is the number one contributor to loss of life on Utah’s roadways, according to a 2015 report by Zero Fatalities Utah . 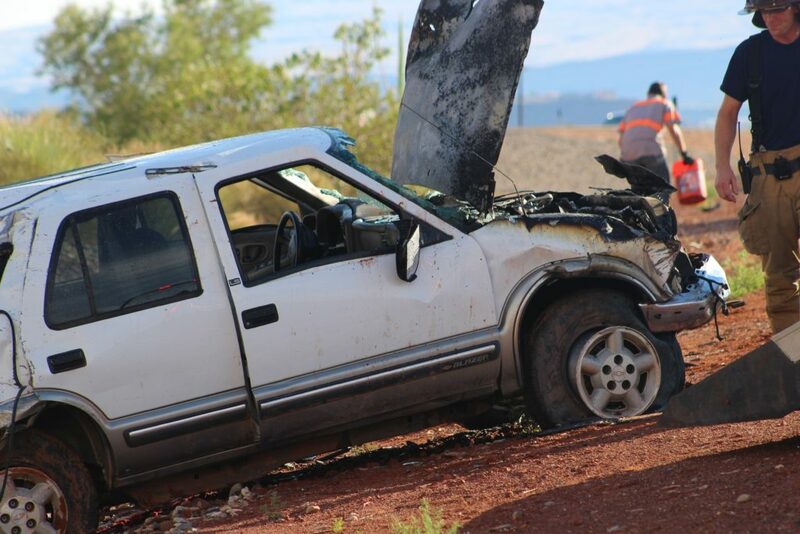 The Utah Highway Patrol, Washington City Police Department, the Washington City Fire Department, Gold Cross Ambulance and Utah Department of Transportation’s Incident Management Team responded to the scene. Yikes . . . I had a fluid leak problem once & the steering locked up . It is scary . . . glad the kids are mostly OK .